Are you a young or emerging Taiwanese American writer or artist? 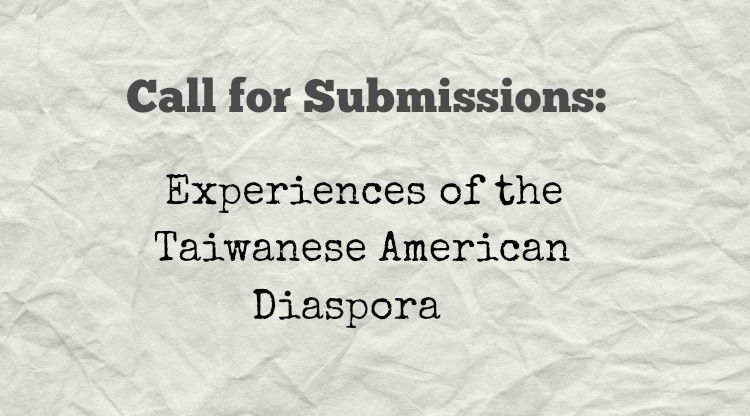 Here’s a chance to submit your work to be published in a mini-anthology that takes a fresh, new look at the Taiwanese diasporic experience. The collection is aimed to bring exposure and develop cohesiveness among Millennial Taiwanese Americans (which broadly speaking, includes college and even high school students). What are they looking for? Thoughtful commentary on the sociopolitical issues surrounding our community, particularly as it relates to the theme of liminality — or “in betweenness”. That could include LGTBQ, feminist, or multiracial perspectives. For me, the idea for this sprang from the general feeling of wanting more. The Taiwanese American community has seen a lot more representation and recognition in media the last few years, but wasn’t quite enough for me. I wanted to see some of that energy turned inward into developing a more cohesive community and to build on our collective history. And, I know a lot of really talented young TA writers, some of who are using their skills in their day jobs but many who aren’t, and I wanted to get them all together to contribute to a common project that pushes the conversation forward. I really want to see more writing that is informed and historical, yet personal and modern, on content that goes beyond what I call the “Amy Tan questions,” the big traditional themes that AA literature is known for. 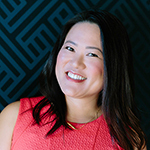 Also, Chu adds that they particularly welcome folks with mixed ancestry or indigenous Taiwanese backgrounds, as well as people who have Taiwanese heritage but grew up in western countries other than the US (i.e. Taiwanese Australians, etc)?. The anthology is open to fiction, non-fiction, and poetry, up to 2000 words. Two-dimensional, black and white art may also be submitted. The deadline to submit your writing is February 19. For more details and how to send in your submissions, go to TaiwaneseAmerican.org.